The next manager to try and stop the Manchester City runaway train is Mauricio Pellegrino of Southampton, who knows Pep Guardiola well. The Saints boss had some nice words for his City counterpart today. Mauricio Pellegrino (Southampton): "Pep Guardiola and I won the league together at Barcelona, it was a beautiful moment in my career. He deserves admiration for his results. Everyone can learn from him at the moment." City have their eyes on one of the hottest young talents in Dutch football, but will face competition for Frenkie de Jong if they make a move for the 20-year-old. The transfer speculation is picking up little by little as January approaches, and an old name from the rumour mill has popped up again: Real Sociedad defender Iñigo Martínez, who is being considered by Pep ahead of the winter transfer window. To the surprise of few, despite blatantly kicking out twice, Manchester United forward Romelu Lukaku has been cleared by The FA, making him available for the Manchester derby, as well as United’s games against Watford and Arsenal. Mike Dean will be the man in the middle when City host West Ham at the weekend. His last appointment saw him controversially send off Raheem Sterling against Bournemouth for celebrating with the City away dayers. Speaking of Raheem, he has been commenting on City’s mentality and believed the team have turned into ‘killers’. 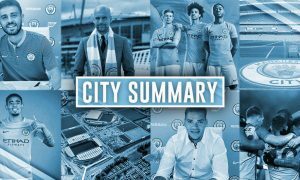 It’s hard to keep track of all the stats that show just how good City have been this season, and it should come as no surprise that they are passing teams into submission. 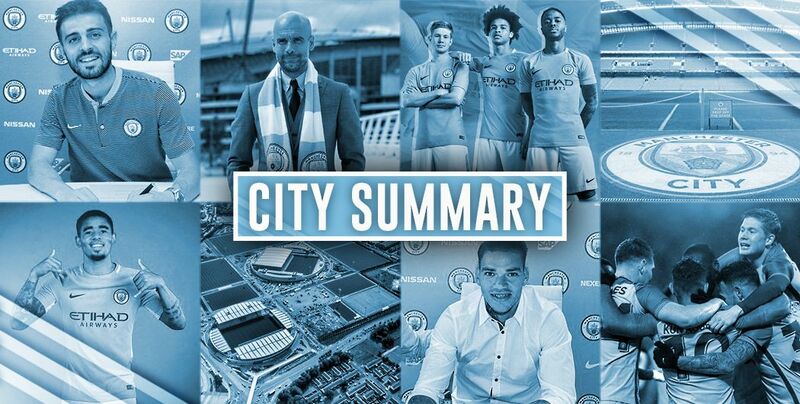 Finally, we have big news of our own at City Watch today. The number one City podcast is on its way back and will have a very special host – Ian Cheeseman will be in the chair as the presenter of the rebooted City Watch Podcast, returning in December!